The lead singer of South Korean boy band Shinee has killed himself after sending a message to his sister saying: 'Tell everyone I've had a hard time', it has been reported. Kim Jong-hyun was found unconscious in an apartment in Cheongdam-dong, in the upscale Gangnam district of the capital Seoul. 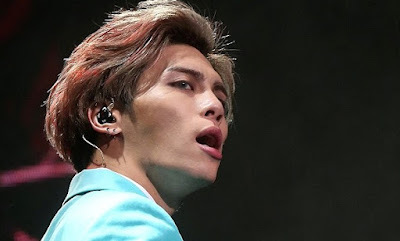 The 27-year-old singer, also known as Jonghyun, is said to have checked into a serviced residence for two nights and was discovered by police today after his sister raised the alarm. Local reports say he sent a final message to his sister saying: 'It's been too hard. Please send me off. Tell everyone I've had a hard time. This is my last goodbye.' He is then reported to have killed himself with carbon monoxide.